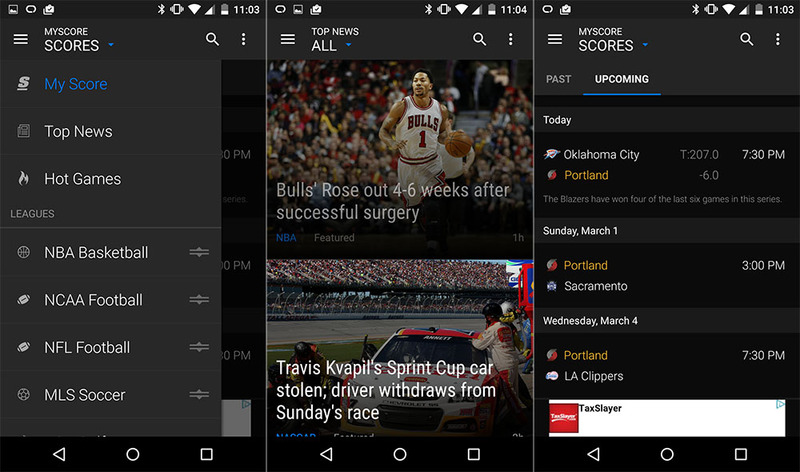 TheScore Sports, our favorite sports app on Android, received an update today that introduced a bit of Material Design to devices running Android 5.0 “Lollipop.” The update also enhanced NHL match-up coverage, but really, this one is all about the pretty new exterior. The app keeps its similar, dark color scheme, yet adds rippling touches and a new-school sliding navigation drawer (sans spinning arrow though). It seems a bit snappier to me as well, but that could be because of the smoother transitions. This isn’t a full Material makeover, but it looks much better than it did prior to the update.